Jackpot City Casino is one of the old world online casinos. 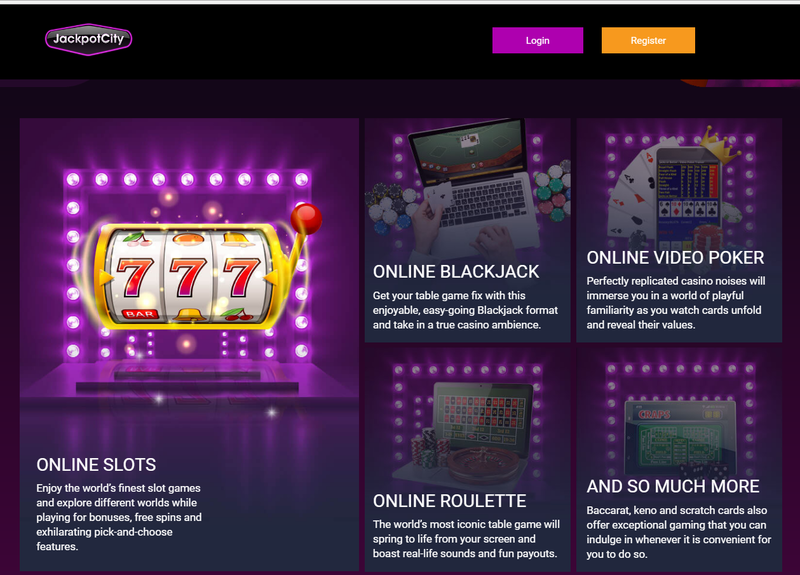 Starting back in 1998 when internet in the home was in its infancy, Jackpot City Casino developed quickly to be a powerhouse in the online casino community and has continued to be so ever since. Jackpot City Casino holds a wealth of over five hundred top quality casino games and brilliant promotions to keep players enticed. There is an Australian Jackpot City Casino, which just goes to show how much this casino cares about us Aussies as despite the new ammendment in gambling laws where Australians are not allowed to play with real money, this casino offers free pokies to play with free credits. Jackpot City Casino quickly developed a strong relationship with Microgaming and for a long time they have been working together to keep the Jackpot City Casino better than any other online casino. Thats right, Jackpot City Casino sits on the Microgaming software which means the pokies are powered by this wonderful top brand. How to play at Jackpot City Fun Casino? 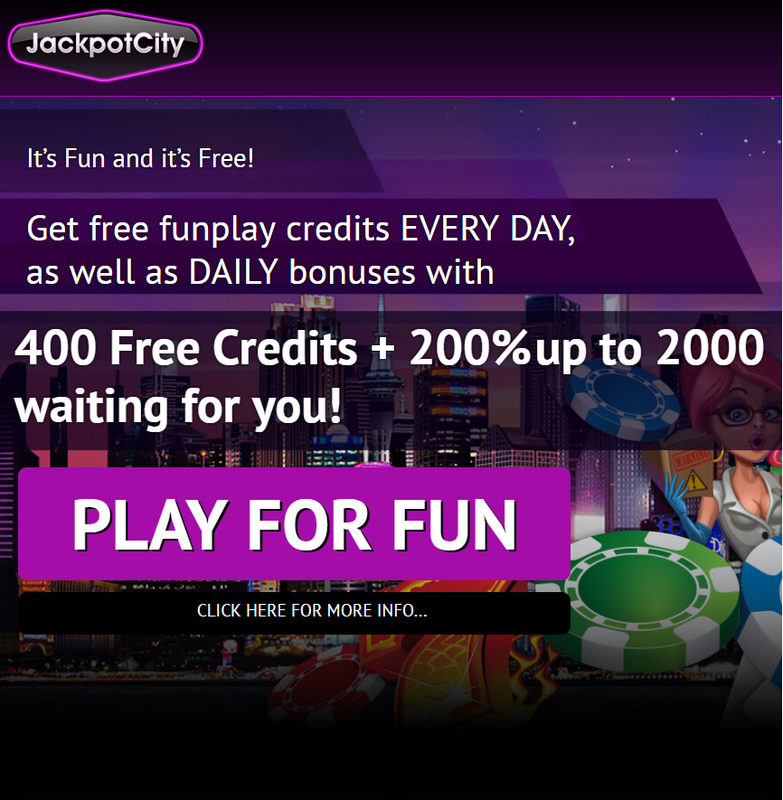 To get started all you need is to visit the Jackpot City Fun Casino with your PC, mobile or tablet by just typing the URL of the casino https://fun.jackpotcitycasino.com/ on your web or smartphone browser be it Safari or Chrome. Then register yourself at the casino by entering your few details such as name, email, phone and address. You will get a confirmaton email and click on that to get yourself verified. 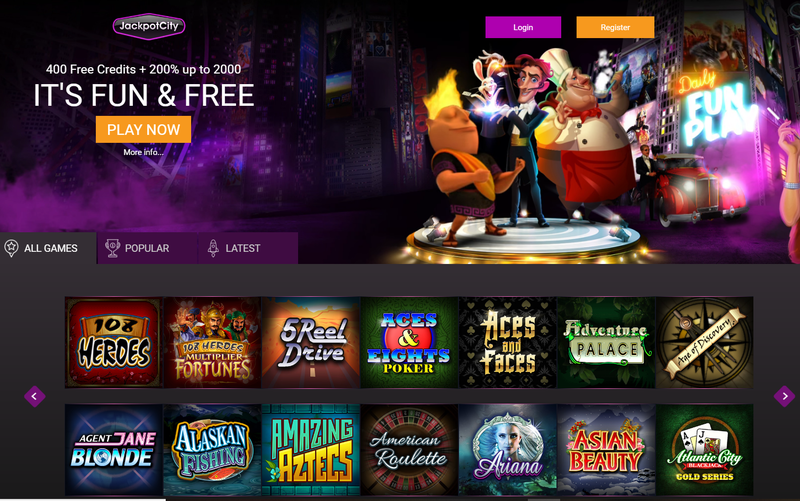 This is a free-play virtual casino that offers you a wide selection of casino games such as pokies, roulette, and blackjack games that can be played whenever and wherever you want. Earn experience points to progress through each level, and unlock even more games. You can also make in-app purchases to help you move through the levels faster and unlock even bigger rewards. Remember if you win you will only receive more free credits to play in the form of virtual currency and there is no real money involved. When you join the casino for the first time you are offered 400 free credits plus 200% up to 2000 to play pokies and other casino games. Unlocking a level, rewards you with Free Spins, Experience points, Bonus Offers and loads of casino credits. If still you think you need more free offers to play then the casino offers purchase a Virtual Credit Package which has additional Bonus Credits that will help you level up. The bigger your credit purchase, the bigger your discount (enabling you to get more credits for less) but that is your choice to spend few dollars and buy credits. Always read the terms and conditions before playing pokies with bonuses. As no real money play is involved you needn’t worry about payment methods. But to buy more credits if you want to play free pokies you can use their endless list of banking options and many of these are tailored to suit our needs in Australia. Jackpot City Casino believes in regional options so we have these on top of the use of credit cards, bank transfers and Paypal too. As all play is purely for fun, no withdrawals are possible, nor is it possible to transfer or give virtual credits to other players. In case you want to clarify anything playing pokies for fun you can contact the customer support at Jackpot city fun casino 24/7. You can email them at support@funplaysupport.com or have a live chat. PayPal Pokies is a list of poker machines and online casinos that accept PayPal as a deposit method so you don't have to use your credit card directly. PayPal is today's universal transaction service of the internet. PayPal is safe and reliable to use. :copyright: 2012-2018 PayPalPokies.com. All Rights Reserved.